Is India’s chance of winning the ‘Oscar Award’ bright? It seems India’s chances of winning the prestigious Oscar Award this year is quite bright and India is set to break the jinx! 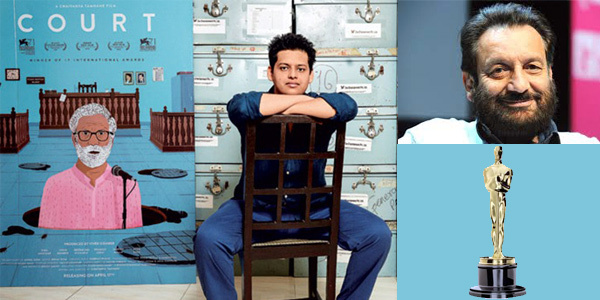 From eminent national and internationally filmmaker Shekhar Kapur to International film experts to rave reviews India’s official entry to Oscar Chaitanya Tamhane’s Marathi film COURT is creating a buzz around the globe. In an interview Shekhar Kapur candidly said, “I have not seen a movie like COURT in over 20 years. 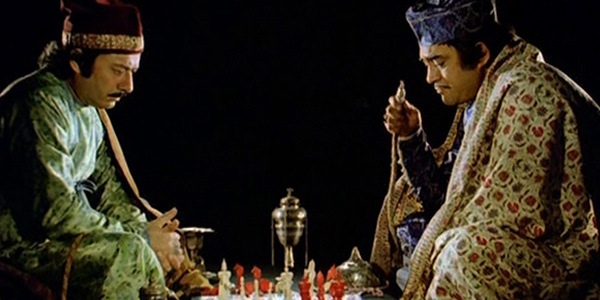 It is a stunning film and reminds of the kind of cinema the great legendary filmmaker Satyajit Ray. 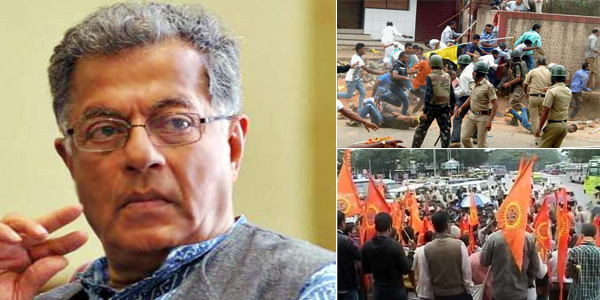 He added, “Kudos to film director Chaitanya Tamhane for such a cinematic power”. What is interesting is that besides applause from filmmaker Shekhar Kapur and a rich haul of awards the film is creating a buzz in International media too. International movie critics have written encouraging reviews in esteemed news papers like The New York Times, The New Yorker and Indiewire. Besides this COURT film producer Vivek Gomber is leaving no stone unturned to win the Oscar. He is following Aamir Khan’s technique of creating awareness through advertisements and engaging Oscar jury in watching the movie. Readers may be aware Aamir Khan’s LAGAAN had succeeded in reaching the top five films slot in the Best Film Foreign Category. The US distributor of COURT, Ms Nancy Gerstman, co-president and co-founder of the New York-based distribution company Zeitgeist Films is too confident about the film creating a buzz at the Oscars! And last but not the least the film is getting a very good support from prominent International filmmakers, whose appreciation will gave a boost for the film to win the Oscar. For instance eminent Filmmaker Joshua Oppenheimer of THE ACT OF KILLING FAME, impressed by the film has tweeted, “India’s Oscar entry, COURT by Chaitanya Tamhane, is a masterpiece - a work of deepest empathy, sublime in its construction”. BAAHUBALI and SRIMANTHUDU clash at the First IIFA Utsavam! After creating box office sensations both Prabhas’s tour de force BAAHUBALI and Mahesh Babu’s super hit SRIMANTHUDU are set to shine at the much awaited First ever International Indian Film Academy (IIFA) Utsavam to be held on 4th, 5th and 6th of December, 2015 at Gachibowli Outdoor Stadium, Hyderabad. The IIFA Utsavam, styled on the lines of Hollywood’s Academy Awards (Oscar Award) is being regarded as one of India’s Magnum Opus Cinema event honoring exclusively South Indian Cinema i.e. the gigantic South Film Industry viz. The Tamil, the Telugu, the Malayalam and the Kannada Film Industry! It seems the jury will have a tough time as both the films have bagged numerous nominations to be precise BAAHUBALI (Telugu Version) has bagged 14 while SRIMANTHUDU has bagged 11 nominations. The Tamil version of BAAHUBALI is also in the race with 11 nominations! What is interesting is that both BAAHUBALI and SRIMANTHUDU are having stiff competition in the top 4 popular awards that includes Best Actor, Best Actress, Best Picture and Best Director. Among Malayalam films, Prithviraj’s ENNU NINTE MOIDEEN got 14 nominations and PREMAM getting 9 nominations. 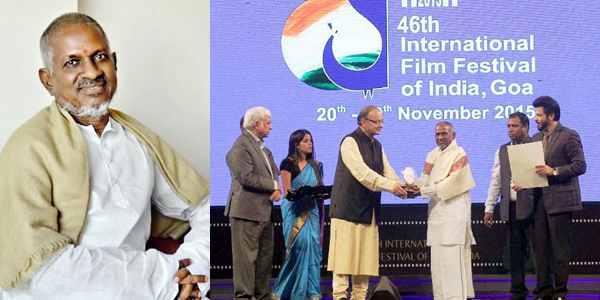 In Kannada Film Industry Krishna LEELA takes the lead with 13 nominations followed by RANGITARANGA with 11 nominations. The award categories include best film, director, actor, actress, supporting actor, supporting actress, actor in negative role, comedian, lyricist, music director, singer- both male and female. 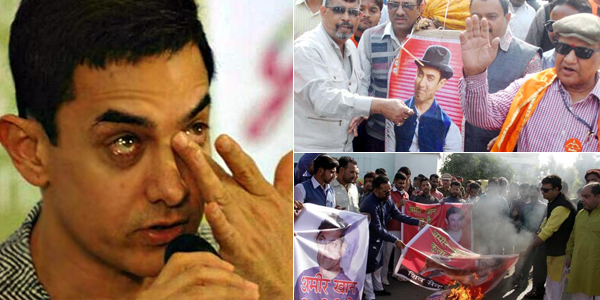 Aamir Khan’s female fan could not bear her heartthrob’s humiliation; commits suicide!!! The nation may be condemning Bollywood superstar Aamir Khan for his remark on growing intolerance in India and his alleged statement regarding leaving the country but a female fan of Aamir Khan has proved that Aamir Khan is still their heartthrob! Though it may come as a stunner but it is a fact that a woman fan of Aamir Khan has sacrificed her life for the actor after being peeved by the nation’s humiliation and disgrace meted out to her favorite superstar, Aamir Khan! According to reports the bizarre incident happened in Jabalpur, (Madhya Pradesh), where a couple got engaged in a heated argument over Aamir Khan's stance on the growing intolerance in India. 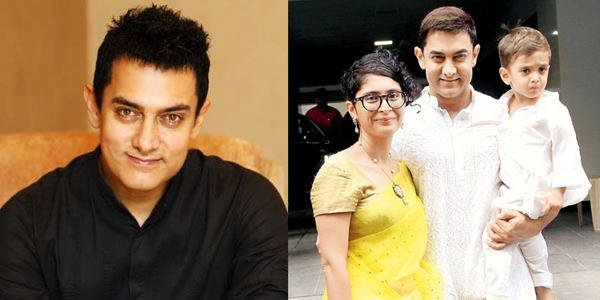 The husband mocked Aamir Khan for leaving the country but alas his scorn for the superstar was taken seriously by his wife, an ardent fan of Aamir Khan. She was so peeved by the contempt of her favored actor that in anger she committed suicide by consuming poison!!! Initially Mayank did not take her wife’s action seriously but when she began screaming for help Mayank rushed to her rescue and found her vomiting vigorously. He rushed her to nearby hospital but doctors could not save her as she had consumed heavy dose of poison. The incident may be hard to believe but this is India where people make temples for their superstar and even lie down their life for their pride! While on the other hand they are ready to even kill their favorite stars on being incited by vested political leaders! 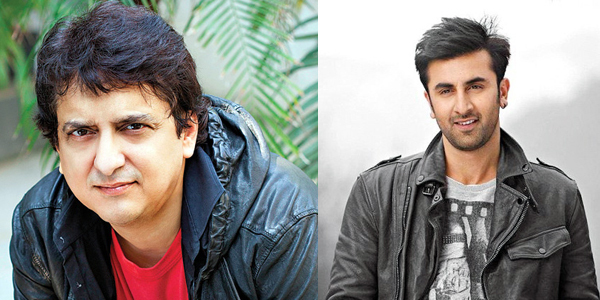 Ranbir Kapoor must stop making ‘Tamasha’ and take a lesson from the fighting spirit of Amitabh Bachchan! Bollywood heartthrob Ranbir Kapoor’s latest statement claiming that after the failure of his last three films viz. 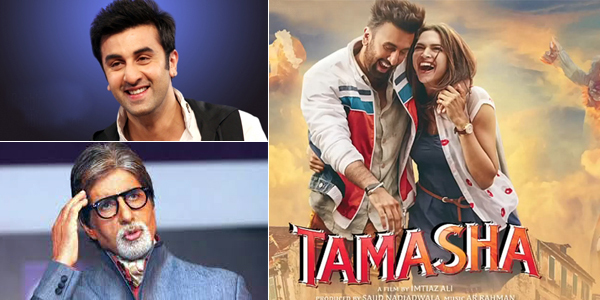 BESHARAM, ROY and BOMBAY VELVET, he is under pressure and worried about the success of TAMASHA looks mechanical and a marketing gimmick to garner sympathy from his fans. History is packed with many examples when even great actors like Dilip Kumar, Rajesh Khanna, Amitabh Bachchan have gone through lean phases in their careers but they never begged for a hit. Instead they have slogged hard and retuned with a bang! Just take the example of Star of Millennium Amitabh Bachchan, who has seen not one or two lean phases in his career but witnessed three rough phases and after each downfall he came back with a vengeance. In the late 60’s after his debut film SAAT HINDUSTANI, when he won the National Award for the ‘Outstanding Discovery of the Year’ and later with ANAND, which fetched him his first ‘Filmfare Best Supporting Actor Award’ he was flooded with film offers. In the mad rush to mint money he signed whichever film that came his way, without t thinking twice about its consequence. As a result he paid a heavy price for his folly as most of the films failed and a situation came when he had to pack his bag and leave Mumbai. But he was not the one to loss the battle so easily hence like a brave solider he continued his struggle and hit gold with ZANJEER, the movie that crowned him with the esteemed title of Superstar! In the 80’s when Bachchan was ruling the roost suddenly destiny played a cruel game and Amitabh suffered a near-fatal accident while shooting an action scene for Manmohan Desai's COOLIE at Bengaluru in 1982. The accident was so severe that in an interview Bachchan candidly disclosed that for a couple of minutes he was clinically dead but yet again he did not give up and like a phoenix he rose from the ashes. After his voluntary retirement from Bollywood in the late 80’s after failures like GANGA JAMUNA SARASWATI, TOOFAN, JAADUGAR, MAIN AZAAD HOON etc Bachchhan made his comeback with his own company Amitabh Bachchan Corporation Ltd. (ABCL) but alas all the films like TERE MERE SAPNE, SAAT RANG KE SAPNE, MRITYUDAATA, MAJOR SAAB, AKS etc. produced were disaster. Amitabh Bachchan was under heavy debt but once again like a determined fighter he fought back and with Yash Chopra’s MOHABBATEIN he proved that fighters never lose battle and like his father Harivansh Rai 'Bachchan'’s poem… Koshish Karne walo ki kabhi haar nahi hoti…. he is a testimony that sincerity and hard work always succeeds. 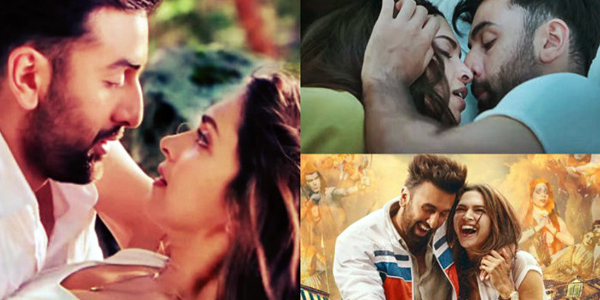 I think its high time Ranbir Kapoor stops making ‘Tamasha’ and takes a lesson from the fighting spirit of Amitabh Bachchan and learn to face the odds!!! Is underworld Don Dawood Ibrahim’s son being brought up in Bengaluru? 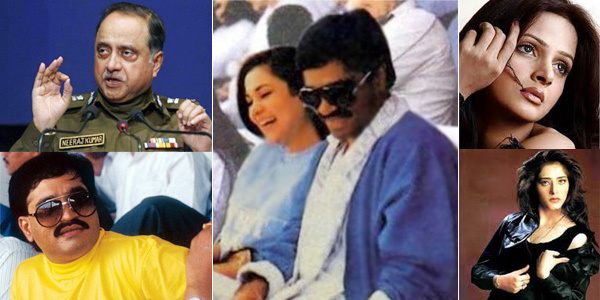 It may come as a shock but if one is to believe former Delhi Police Commissioner Neeraj Kumar than according to his latest book ‘Dial D for Don’ notorious underworld don Dawood Ibrahim’s son born out of a Bollywood actress is secretly being brought up in Bengaluru, in India!!! Neeraj Kumar, who claims to have interviewed the Don three times, in his books makes mention about the clandestine affair of a Bollywood actress with Dawood and the couple had a son, who is presently being brought up by the actress’s sister in Bengaluru. While the books escapes from revealing the name of the actress yet it claims that the child born out of the wedlock of Dawood and the actress is 18 years. Ever since the news has been leaked speculations are ripe that the actress in question must be Raj Kapoor discovery Mandakini, whom he introduced in his film RAM TERI GANGA MAILI (1985) when she was exactly 16 years. After this she did one or two films which bombed at box office and was next seen with don in Dubai during cricket matches in Sharjah and rumor mills were abuzz about their relationship and reportedly of a son. But the question is - if Dawood must have married Mandakini even in 1990 and they must have had a son in 1992 / 1993 then the boy must be about 21 or 22 years and not 18. Hence the boy being brought up in Bengaluru is not of Mandakini but instead of some other unsung actress. Among his Mistress are many film actresses from Bollywood and Pakistan film industry the book claims. 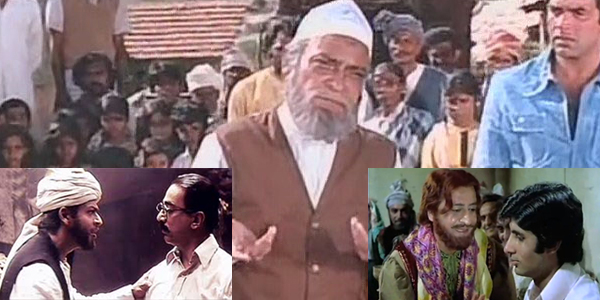 How Saeed Jaffery’s dream of acting with legendary filmmaker Satyajit Ray was fulfilled! 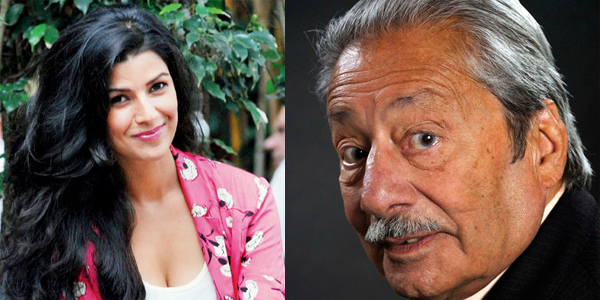 Truly the ‘Heavens’ must have bowed down to Saeed Jaffery and spread a red carpet to welcome the legendary actor who gave ‘Asian’ actors respectability in the West and opened doors for others Asian actors to display their skill in the Western World of Art and Theatre. Saeed Jaffrey, who began his tryst with Western Theater in the mid 50’s, is regarded as the ‘First Asian’ actors to make an impact in the West with his acting genius when he was accepted by the world renowned Shakespeare Company. Later he had the prestigious of performing at the Broadway Theatre, where he appeared in the 1958 adaptation of a PASSAGE TO INDIA. Later the actor mesmerized the West working with celebrated Hollywood filmmakers like David Lean, Richard Attenborough, James Ivory, John Houston and brought pride to India by becoming the First Indian to receive the Order of the British Empire (OBE) for his contributions to drama, a rare feat achieved by an Indian. In India he aspired to work with the legendary filmmaker Satyajit Ray and even communicated several times urging him to give an opportunity but Satyajit Ray was known for selecting ideal actors for his characters and when he made SHATRANJ KE KHILADI, he did gave him a chance. “Seizing the golden opportunity I requested him to cast me in one of his films. He nodded but later there was no reply. I kept reminding him until four years later in 1976, one day, I was surprised to receive his call asking me to come to India. I was elated and rushed,” he recalls. His performance of the royal Nawab opposite the great Sanjeev Kumar in the film SHATRANJ KE KHILADI won him rave reviews and even fetched him the prestigious Filmfare Best Supporting actor award. After this it opened a flood gates of roles in Bollywood that ranged with top notch directors of Bollywood like Raj Kapoor (RAM TERI GANGA MAILI), Sai Paranjpye (CHASHME BUDDOOR), Shekhar Kapoor (MASOOM), Yash Chopra (MASHAAL), Ramesh Sippy (SAGAAR), Rakesh Roshan (KHUDGARZ) etc. 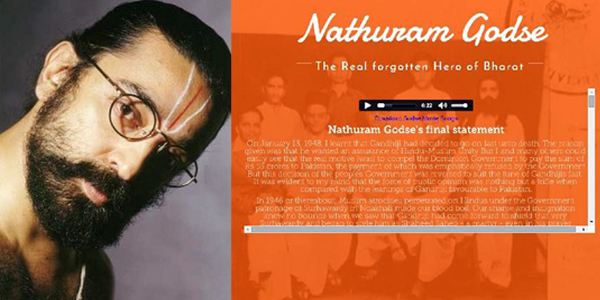 Raaga.Com pays our humble tribute to the actor par excellence and pray his soul rest in peace in Heaven! 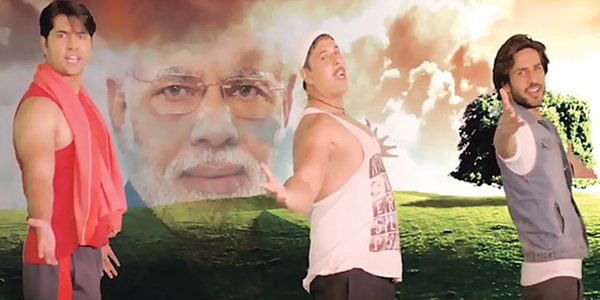 A music video Mera Desh Hai Mahan, Mera Desh Hai Jawan (My country is great and young) glorifying the achievements of Prime Minister Narendra Modi has drawn strong criticism from many film veterans and the society. 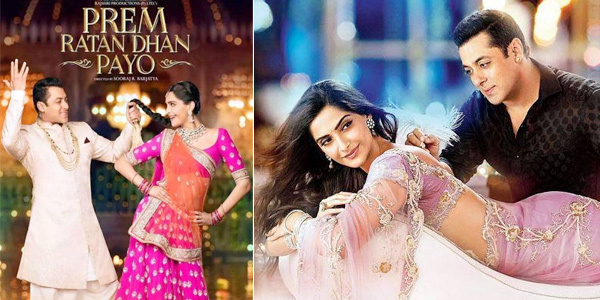 The video being played countrywide at cinema halls during interval of the Salman Khan’s hit FILM PREM RATAN DHAN PAYO is made by Chairperson of the Central Board of Film Certification (CBFC), Pahlaj Nihalani and is looked upon by many as a mere flattery to appease Narendra Modi! It may be noted that Pahlaj Nihalani is known to be a BJP and Narendra Modi ‘Bhakt’ (Devotee) and has been responsible for making the video Har Har Modi, Ghar Ghar Modi during the last year’s general election, which fetched Modi a thumping victory. Hence his opponents allege due to his favor he was awarded the Chairperson post of the Central Board of Film Certification (CBFC) and now it is rumored that since BJP has lost shamelessly in Bihar and Delhi, hence Nihalani has yet again made a video to give a boost to Narendra Modi’s fading image and a thumps to BJP. However the video is being dubbed as “an obscene form of flattery” by some within the film industry. 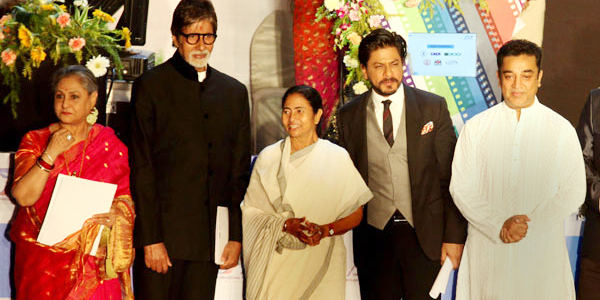 Amitabh Bachchan urges to take lessons from Indian cinema which has always preached communal harmony! This song from Yash Chopra’s hit film DHOOL KA PHOOL captures the essence of Indian cinema, where religion, caste and hatred has no place and all live in harmony. Though the nation may have got carried away by the communal hatred speeches of fundamentalist leaders and politicians but Indian cinema has never lost its roots. Be it Bollywood or regional cinema a look at Indian movies reveals that Indian filmmakers have always abided by Tagore’s vision of a united and secular India. Hence the lead character in most films may be Hindu but he is always supported by a loyal friend, mostly a Muslim, who is ready to sacrifice his life for his Hindu friend. Remember the devoted Pathan, Amjad Ali Khan (Played by Shah Rukh Khan) in Kamal Hassan’s HEY RAM (2000) who sacrifices his life to save Hindus on the eve of the Partition of India, 1947 or Sher Khan (Played by Pran) in ZANJEER (1973), who comes to the rescue of his friend Vijay (Amitabh Bachchan) or the emotional character of the blind Rahim Chacha (Played by A.K.Hangal), in SHOLAY (1975) who instead of shedding tears on the death of his young and only son calls upon the villagers to fight the dreaded dacoit Gabbar Singh. In nutshell the nation really seeks to take lesson on communal harmony and brotherhood from films as suggested by Mr. Bachchan. Wanna guess what is common in them? 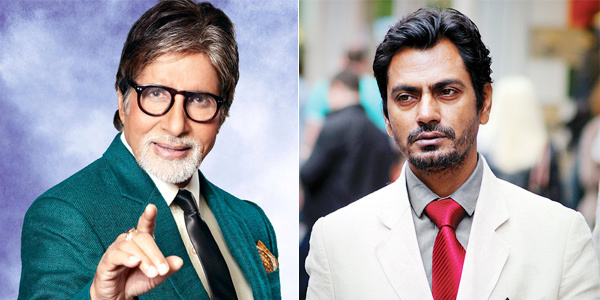 Well, besides being popular Bollywood actors all these stalwarts have began their careers from theatre. 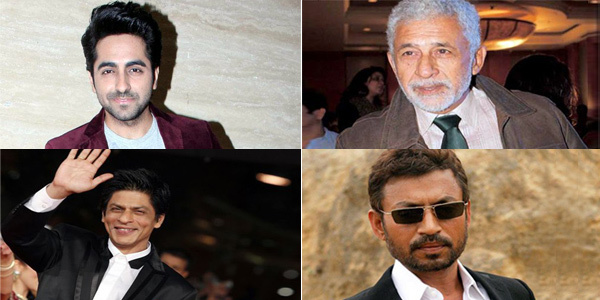 In fact besides these veterans many actors in Bollywood have their roots in theatre like Irrfan Khan, Manoj BajpaI, Om PurI, Rajpal Yadav etc. (The list is long) but the tragedy is that after success in Bollywood many of these actors in the mad rush to mint money desert theatre. This is probably the major reason why theatre, despite producing such versatile actors is still in doldrums and gasping for survival. Recently Bollywood actor Ayushmann Khurrana, who is riding high thanks to his hit films VICKY DONOR and DUM LAGA KE HAISHA has however come to the rescue of theatre. In his little bit to give back to theatre he will seen supporting a theatre group in a TV reality show ‘Deal Or No Deal’ on & TV. The program is hosted by popular Bollywood and TV actor Ronit Roy. Should mainstream Bollywood films be included in film festivals? HAPPY NEW YEAR, KICK, DHOOM 3, KRRISH 3, GABBAR IS BACK etc. are some of the typical Bollywood mainstream movies with ample does of romance, action, comedy and of course melodious music. Though these movies are the favorite of the masses and generate huge money at the box office but the fact is its makers feel a pinch when they are ignored at film festivals and the so called parallel cinema wins all the raves and laurels. Filmmaker Kabir Khan, who is known for making both hard hitting ‘art’ films like KABUL EXPRESS and equally powerful commercial hit films like BAJRANGI BHAIJAAN, feels that there should not be prejudice against mainstream cinema and commercially movies shouldn't be ignored at such film festivals. “I think today Bollywood is making really good cinema and the line between art cinema and commercial cinema is fast blurring. 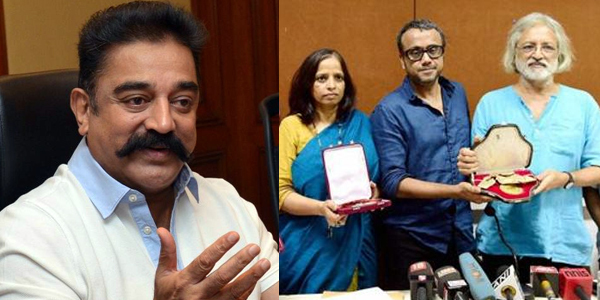 Hence I don't think there should be prejudice against mainstream cinema,” he added. True indeed! A look at some of the movies made in recent years like 3 IDIOTS, BHAAG MILKHA BHAAG, BARFI, VICKY DONOR, KAHAANI, ROCKSTAR, ZINDAGI NA MILEGI DOBARA, GANGS OF WASSEYPUR, QUEEN, BAAHUBALI - THE BEGINNING, PIKU etc. have prove beyond doubt that Indian cinema is fast reinventing and young filmmakers like Anurag Kashyap, Rajkumar Hirani, Kabir Khan, Anurag Basu, Imtiaz Ali, Vikas Bahl, Shoojit Sircar, Sujoy Ghosh, Zoya Akhtar, S.S.Rajamouli etc. are taking Indian cinema to dizzy heights. That’s the reason the Hollywood cinema, considered as the ‘Mecca of Cinema’ too is going gaga over Indian cinema. 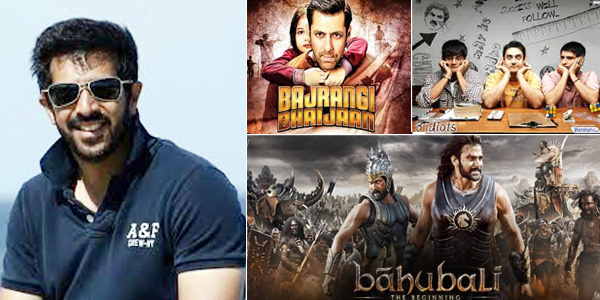 Salman Khan and Sooraj Barjatya’s Jodi is known for breaking box office records. Remember MAINE PYAR KIYA, (1989); HUM AAPKE HAIN KOUN..! (1994); HUM SAATH SAATH HAIN (1999). Hence when the Jodi came together after 16 years in PREM RATAN DHAN PAYO (2015) there was lot of expectations but as expected yet again the duo have done a great work as the movie has been declared a hit by both the film buffs and the critics alike. According to latest reports the opening day collection of the movie has got a bumper opening not only in India but at the overseas box office as well. Trade pundits claim that the movie has overshadowed Salman Khan’s previous hits films like KICK and BAJRANGI BHAIJAAN. And that not all the movie has also moved ahead of the other two Khan i.e. Shah Rukh Khan’s HAPPY NEW YEAR and Aamir Khan’s PK. The movie registered more than 90% occupancy in several theatres in India on the first day morning shows and increased to 100% percent as the day progressed. Manoj Desai, exhibitor and executive director of Mumbai’s chain of cinema halls said, “PREM RATAN DHAN PAYO has opened to good response. All shows are houseful and even the advance booking for the weekend is very strong." As regards film critics the movie has fetched 3.5 rating from many top notch film critics of India, who have termed it as an excellent family entertainer reviewing the good old tradition of Rajshri films. Kajol’s stunning looks in DILWALE worked on the lines to enhance the young looks for Rajinikanth? The DILWALE trailer staring Shah Rukh Khan and Kajol has generated a mixed response among the viewers. While some are going gaga over the spectacular eye catching locations and the incredible Jodi of SRK and Kajol, other feel the trailer is predictable like other Rohit Shetty films with pinch of romance, action, comedy and the usual cars blasting in air. Though opinions are divided over the trailer but there is one thigh that is unanimous and that is the stunning look of Kajol, who is looking charming and gorgeous. Though the actress is over 40 and a mother yet she looks stunningly beautiful. One wonders is it really her grace or is it the cunning camera work and make- up tricks as employed to enhance the young looks for South Superstar Rajinikanth? According to make-up artiste R Sundaramurti, who styled Rajinikanth in his debut film APOORVA RAGANGAL (1975) and worked with him until CHANDRAMUKHI (2005) Rajinikanth's dusky complexion has helped an important feature in keeping him `wrinkle free' and ageless! Now we know the secret behind the glowing look of Kajol because since she is also dark complexion like Rajinikanth hence the make-up artist could easily hide her age and made her look gorgeous and bewitching.